12 Easy tips for feeling younger. Although this is from a “medical” site (http://www.medicinenet.com/script/main/art.asp?articlekey=51893&page=2 )I like the fact that a couple of the points recognize wellness and anti-aging through an holistic stance. A good place to start is clarity. Take this quick on line Health Assessment and see where you rate. Want to hold on to — or recapture — your youth? These simple steps promise maximum vitality. Experts on aging agree — there are positive steps you can take to make your “golden years” healthier and more enjoyable. And, they might just add as much as a decade or more to your life… So read on, and act now! The single best thing you can do for your health and longevity is quit smoking. Smoking has been indicted for a laundry list of ills from heart disease to lung disorders, all of which can foil your longevity plans. Drink only in moderation. Alcohol infuses every cell, damaging genes and inflaming your liver. A glass of wine a day for women and maybe two for men, but no more, may be mildly beneficial. Get your Zzzz’s. Your body needs down time to repair cells and rest your heart. And your mind needs dreaming to stay sane. 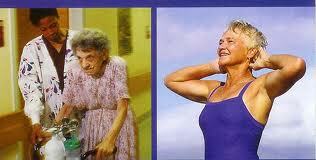 Find a doctor who specializes in geriatrics or anti-aging. Barbara M. Morris, RPh, author of Boomers Can Really Put Old on Hold, recommends an anti-aging doctor. But according to Marc R. Blackman, MD, chief of the laboratory of clinical investigation of the National Center for Complementary and Alternative Medicine (part of the National Institutes of Health), a geriatrician would be more mainstream and recommend fewer unproven treatments. “Anti-aging is like saying anti-puberty or anti-pregnancy. This is a natural process,” he says. Whatever his or her style, your new doctor may recommend yearly assessment of various biomarkers, including lipids, DHEA, estrogen, cortisol, thyroid, lung function, and micronutrient assays. Cut saturated fat, up omega-3 fats. It’s gospel by now: eat less or no red meat; lose the cake and ice cream; consume more complex carbs, such as whole grains, fruits, and vegetables; and get plenty of fatty fish. The healthy fats in salmon, mackerel, and sardines help keep oxygen free-radical molecules from damaging your cells. Consider moderating your total food intake. Studies in rats show that a 30% calorie restriction means longer life (no, it doesn’t just seem longer!). Blackman also cites studies in rhesus monkeys showing a gain in years from a reduction in food. Obviously, losing excess pounds means less strain on your system. Be careful when tweaking your hormones. Morris swears by controversial human growth hormone — for her Blackman is no fan. “There have been big studies to determine the relationship between decreases in human growth hormone and thinner bones, more body fat, and mood swings. Giving growth hormone can build muscle, but it has not been shown that the muscle is any stronger.” HGH has also been associated with water retention, carpal tunnel syndrome, high blood pressure, and blood-sugar fluctuations. “[HGH science] is not at a point where any responsible provider could recommend it,” Blackman says. And what about the other substance — a steroid called DHEA — often recommended for aging? “Dramatically less evidence than HGH!” exclaims Blackman. As for estrogen and progesterone replacement, it’s been in all the papers. The combo therapy may increase, rather than cut, the risk of cancer and heart disease. Many natural alternatives to these substances exist — your own situation should dictate your decision, but always consult your doctor. Supplement, supplement, supplement. Most of us suffer from “overconsumption malnutrition” — too much of the wrong things, Morris says. She takes a fistful of vitamins and minerals each morning. Even the cautious American Medical Association recently endorsed taking a daily multivitamin. In addition to the effective antioxidant vitamin C, Morris says CoQ10, vitamin E, alpha lipoic acid (another antioxidant), and perhaps some of those “mental acuity” mixtures in the health-food store should be in your medicine cabinet. Again, your doctor can help you fashion routine. Don’t be afraid to make a big change. Fortgang says it’s never too late to move, join the Peace Corps, change careers, get married, or get a divorce. “Don’t say you’re too old,” she says. “Sometimes [earlier] decisions need to be changed.” She and Morris also say plastic surgery can be life-enhancing if you do it to look and feel better, not to change your life overnight. Previous PostFruit Water and CancerNext PostEmotional Eating, I get it!